Over the past fifteen years, I’ve specified hundreds of square metres of tiles in all shapes and sizes, for kitchens, bathrooms, interiors and exteriors. They’ve been sourced from many different suppliers but one I’ve repeatedly gone back to is Topps Tiles. At the moment, clients seem to have a unstoppable love affair with their natural slate flooring and cream or white metro tiles and rightly so, they look gorgeous whenever and wherever I’ve used them. Friday, 10th June at 12pm. 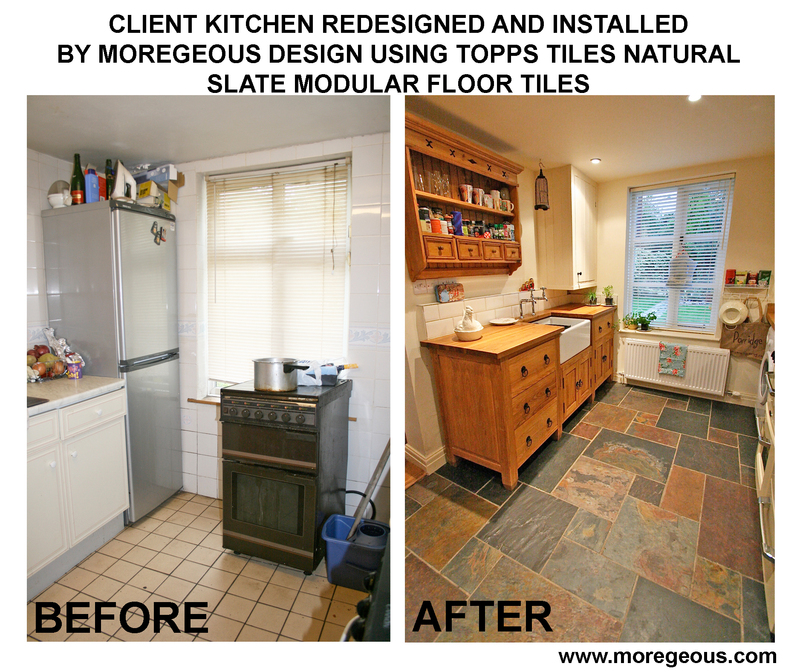 Topps asked if we had any before and afters of interiors we’ve worked on using their tiles which was easy peasy to sort out – I love a good Grot 2 Hot! 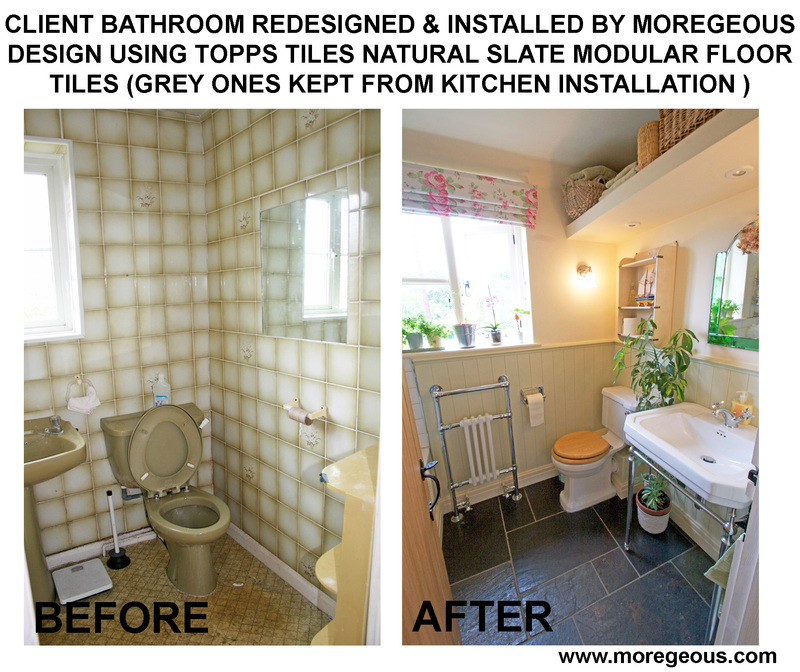 In Rose Cottage’s kitchen and bathroom (above and below) the client wanted a rustic country feel with a period feel, perfectly achieved with the mixed grey and copper slate with the simple cream metro tile. This rental apartment kitchen below was a hideous 80’s disaster but with a little Ikea magic dust and some metro tiles it was soon transformed into an oak and cream vision of prettiness. Tumbled travertine mosaics were used as feature tiles in this limestone bathroom designed for a client recently, adding warmth and colour to reflect the tones of the walnut furniture. Gotta admit, I’m a wee bit nervous about what might be asked but it’ll be fun and a first for me. Twitter Q&A…. whatever next! Finding the perfect plant labels – the choice is endless!